It looks lovely - I adore having a peek at peoples scrap spaces and yours looks fab. These are great pictures. I love seeing other peoples stamping spaces. I'm sorry you had a hard time posting a comment on my blog...it seems to be working now, though. This is awesome Kelly! 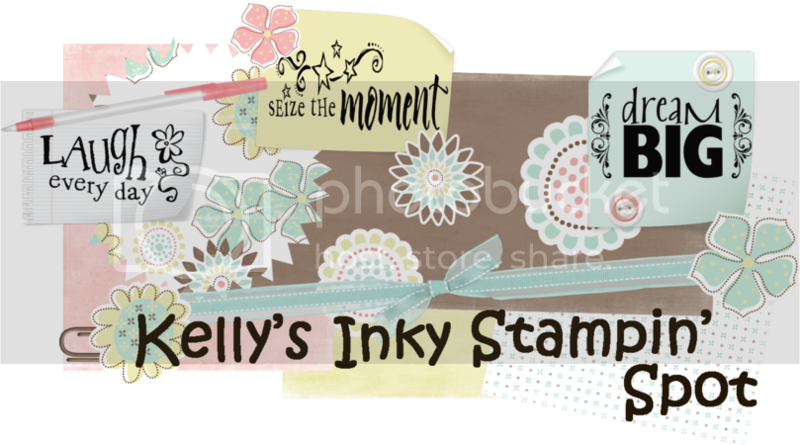 I don't have half as many stamp sets as you girl! Whoa! It is great how you got everything together and lined up on one wall. Great job! Kelly, how organized you are! I love your space and everything is so accessible. DH is very nice to let you "take over" the bedroom space. Thanks for sharing! I love how clean and organized it is. I love getting an idea of how people have their own crafting space.... check out mine here.